April Fool’s is officially over and we can now start to build back trust with our friends, families, favorite companies or celebrities. Many companies pulled pranks as well as some celebs and they really had a lot of us shocked. I, personally, was fooled; so much so that I even called writing the article about it. 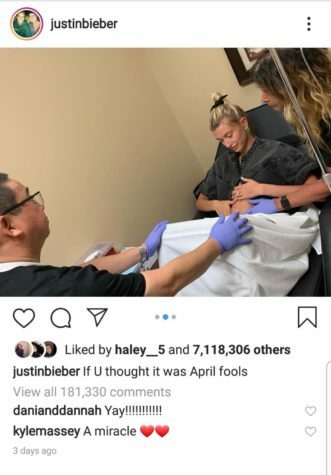 It would make sense, him and Hailey Baldwin are newlyweds and this would be the normal next step, the caption also threw me off. 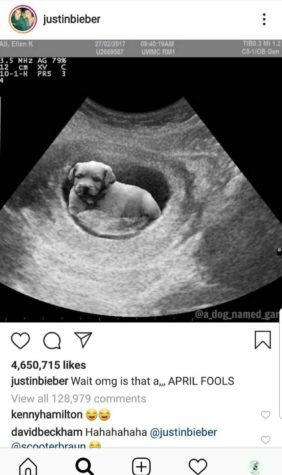 He then posted this photo with the caption, “wait omg it’s a,,, APRIL FOOLS.” People were not happy about the prank, whether it’s because they were fooled or because they didn’t like the joke being on a serious topic. 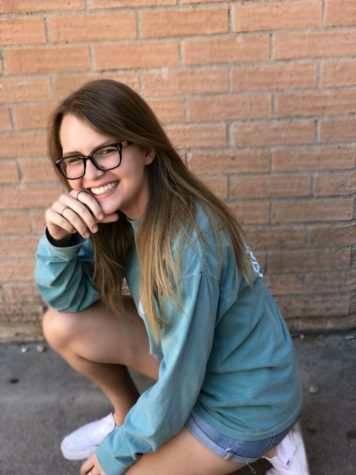 Tinder also fooled a lot of its followers as it posted an announcement for a “height verification” feature on the app. It would analyse any photo of someone standing next to a building and they would get a badge for actually being their claimed height. This was met with outrage as they were allowing this but not “weight verification” even though they are almost the exact same thing – thankfully it was announced as a April fool’s joke. Spotify’s prank didn’t get as much attention because it was more simple but it was still fun. Normally their algorithm curates a “Discover weekly” playlists to it’s users of new music based on what they already listen to. On the first it was changed to “Discocover Weekly” which was a playlist of popular artists covering disco songs. I didn’t know that this was even a genre, so I did discover something new. 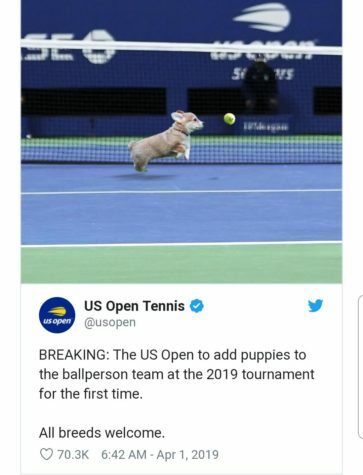 Finally the US Open has a cute prank, one that would be so adorable if it was real. This year had some great jokes, but now we have to wait until next year.